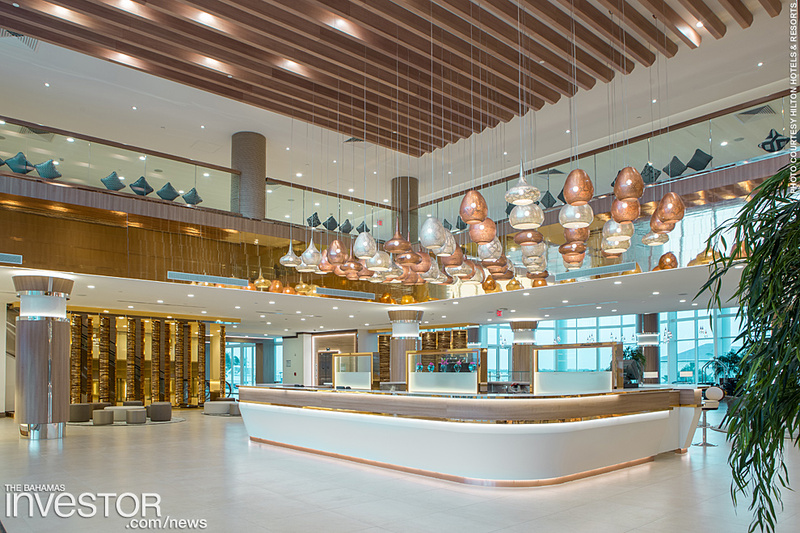 Hilton Hotels & Resorts and Resorts World Bimini recently announced that Hilton at Resorts World Bimini has completed its second phase opening, introducing major enhancements to the hotel's accommodation, food & beverage, meetings & events and wellness offerings. 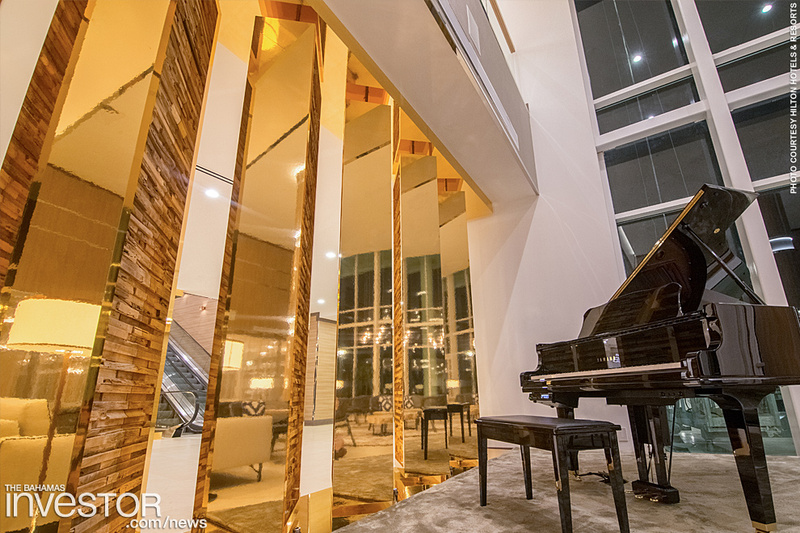 The hotel's owner and operator celebrated the completion of these upgrades with a ribbon cutting ceremony this past weekend. MIAMI and MCLEAN, Va. June 7, 2016 (Hilton) – Hilton Hotels & Resorts and Resorts World Bimini today announced that Hilton at Resorts World Bimini has completed its second phase opening, introducing major enhancements to the hotel’s accommodation, food & beverage, meetings & events and wellness offerings. 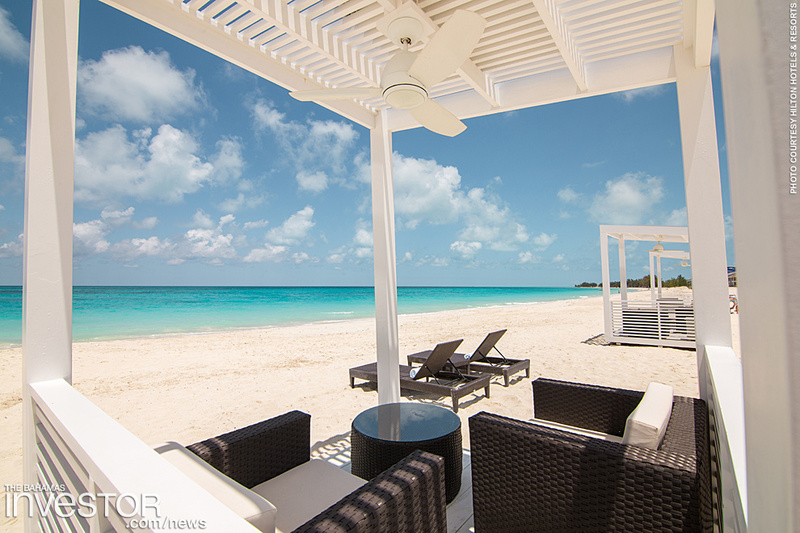 Hilton at Resorts World Bimini first opened in 2015 and is now in full swing with more than 300 guest rooms, including 18 luxury suites, six dining options, a first-class spa and a rooftop pool offering panoramic views of the island. The hotel is owned and operated by Resorts World Bimini under a franchise license agreement with Hilton Worldwide (NYSE: HLT), and celebrated the completion of these upgrades with a ribbon cutting ceremony this past weekend. The new Lobby Raw Bar offers a wide variety of seafood favorites including chilled Maine lobster, Florida stone crab and middle neck clams. Guests can pair their fresh seafood with hand-crafted cocktails including house specialties like the ‘Santiago Sangria’ and ‘Aqua Fresca’ while overlooking Bimini Bay. The Sushi Bar offers an expansive selection of freshly prepared sushi rolls, nigiri and sashimi along with Asian-inspired snacks and flavorful ramen and noodle dishes. 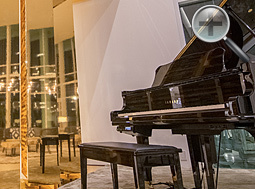 With =panoramic views of Resorts World Bimini’s Mega Yacht Marina, the Piano Lounge features an intimate setting to enjoy martinis or wine by the glass while enjoying a rotating lineup of live entertainment. The Tides restaurant offers daily breakfast and a dinner menu featuring Italian fare such as pastas, entrees and desserts, a wide selection of seafood and raw bar options, pizza from the wood fire grill and salads. In addition, the rooftop grill and bar offers healthy dining options such as fresh juice and fruit along with grilled favorites. Meanwhile, whether walking or swimming up, the ground-floor Oasis pool bar will be the place to indulge in a selection that includes fresh conch salad, quesadillas, paninis, burgers, hotdogs and more. Guests with Executive Lounge access receive complimentary breakfast and cocktails. 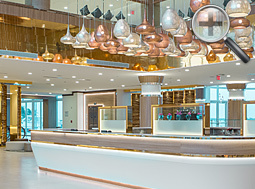 The completed hotel offers 10,000 square feet of modern meeting & event space, with an additional 15,000 square feet of meeting space across the Resorts World Bimini complex. All 23 of the hotel’s meeting & event rooms feature state-of-the-art audio-visual equipment and Wi-Fi. Travelers have access to a fully equipped business center, and for those on-property to celebrate a wedding, elegant bridal rooms. For ultimate relaxation, the new Serenity Spa brings world-class services and amenities to Hilton at Resorts World Bimini, including massages, facials, hand and foot therapies, nail services, salon services and make up artistry. To complement these highly personalized services, premier products will be available to enjoy long after departing the luxury boutique spa in Bimini. Guests can also take in unbeatable island views from the hotel’s fitness center, which offers the latest strength and cardio equipment. 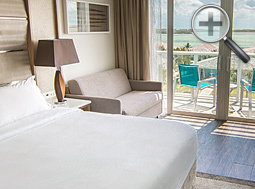 Hilton at Resorts World Bimini participates in Hilton HHonors®, the award-winning guest-loyalty program for Hilton Worldwide. 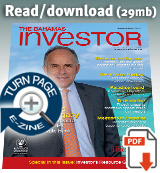 The program is open to all guests and free to join. Hilton HHonors members who book directly through preferred Hilton channels have access to instant benefits, including an exclusive member rate that can’t be found anywhere else, free standard Wi-Fi, digital check-in and HHonors Points. 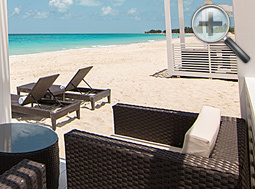 Hilton at Resorts World Bimini is located in North Bimini in the Bahamas and is part of Resorts World Bimini, a 750-acre luxury Caribbean beachfront resort and casino complex. For reservations, please call the hotel directly at +1 888 930 8688 or visit the hotel’s website atresortsworldbimini.hilton.com. 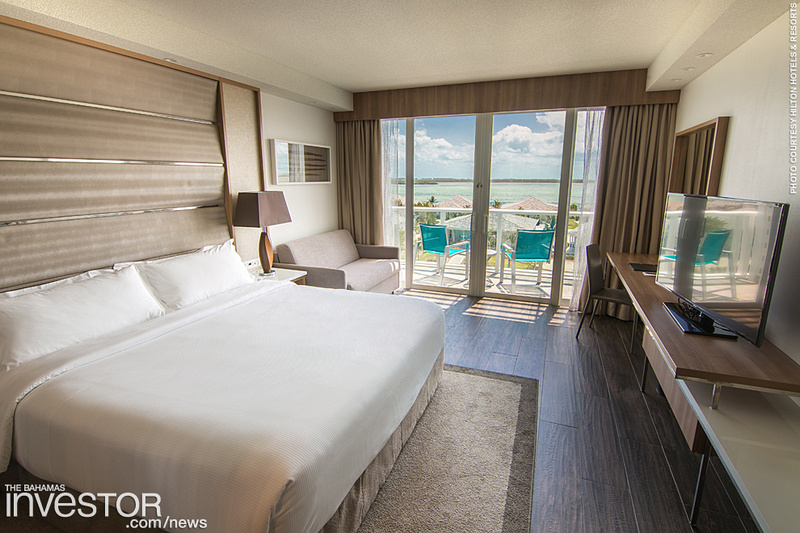 Government officials and VIP guests got to take a look around the new Hilton Hotel in Bimini last week during its launch. Watch a ZNS Network news report here. In celebration of Caribbean Week in New York City, the Ministry of Tourism hosted a party for hundreds of Bahamians in the tri-state area, American travel agents and journalists while treating them to Bahamian food, drinks, music and culture. Read a Ministry of Tourism report on the event here.